Northeast Thailand, or Isan, with its natural borders formed by Phetchaburi and Dangrekranges and the Mekong River, is perhaps Thailand’s most remote and little-visited region. Yet,this is home to some of the richest archaeological sites in Southeast Asia. This tour will take us to some of the most significant sites on the Khorat Pleateau –spanning from the prehistoric past to the later Dvaravati (6th century) and Angkorian (9th-15th century) cultures. 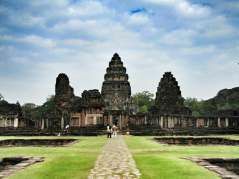 The tour will take us primarily through Nakhon Ratchasima, the gateway to the Khorat Plateau,and onwards to several monumental Angkorian ruins such as Prasat Hin Phimai and Phanom Rung. AtUbon Ratchathani, we will visit the enigmaticprehistoric rock art at Pha Taem National Park, located on a cliff face overlooking the Mekong bordering Laos. Our last stop takes us to Udon Thani, where we will visit the Ban Chiang World Heritage Site,one of the first sites to put Southeast Asian archaeology on the world map, and the Phu Phra Bat Historical Park, a sacred landscape featuring a long period of use from prehistoric times to the Lan Xang period. 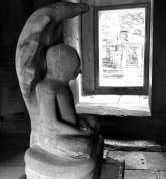 The Thai Fine Arts Department has recently announced their intention to nominate Phu Phra Bat as a Unesco World Heritage Site. Dr Noel Hidalgo Tan is the Senior Specialist in Archaeology at the SEAMEO Regional Centre for Archaeology and Fine Arts in Bangkok. A Singaporean, he studied mass communication at Ngee Ann Polytechnic before pursuing archaeology at the University of Melbourne – a move sparked as a volunteer at the excavations in St Andrew’s Cathedral in 2003. He subsequently obtained his master’s degree in archaeology at Universiti Sains Malaysia and his PhD at the Australian National University. Since 2006, Noel runs the Southeast Asian Archaeology Newsblog and his research expertise is in the rock art of Southeast Asia. He has documented a number of rock art sites, including Gua Tambun in Malaysia, the Pak Ou Caves of Laos, and Poeung Komnou and Poeung Takhab in Cambodia. Noel’s most recent discovery was the invisible paintings of Angkor Wat, which was published in the journal Antiquity in 2014.